Jason and Allison Bass of South County Collision Center in Morgan Hill, Calif., say a unique estimating arrangement helps them sell the job. “People just love to watch the process and see the graphics showing the break-down of their car,” Allison said. 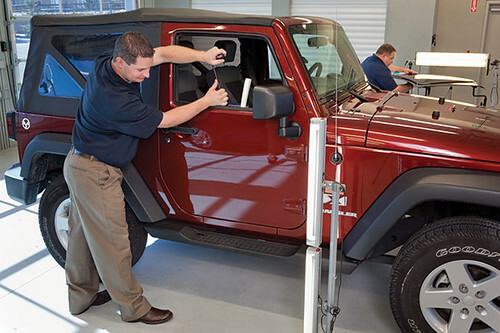 At PARS, customers feel the same way about paintless dent removal estimating techniques. Although PARS does not utilize the wall monitor, Catastrophe Response Managers such as Joseph Frasca work to ensure customers understand the assessment of their vehicle. “Once we finish the appraisal of the vehicle, we explain the severity of the damage to the customer,” Frasca said.